Last night, my Mom and I read from a book we got from the library. Abo, my Coquí friend, recommended the book! The story we read was: La Cancion del Coquí (in English: The Song of El Coquí). 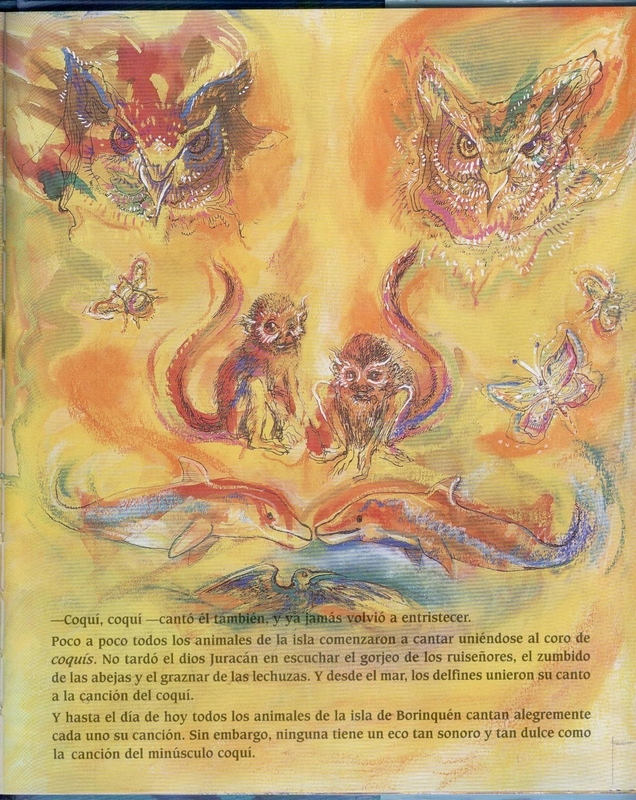 These are pics from the book and a photo of a coquí. My Mom says the story is a Creation story. It starts with, “In the beginning, there was silence.” As the grass, trees and flowers grew, the island of Borikén blossomed. But, it was a lonely place. The god Juracán created a huge storm, after which he heard a beautiful sound! Coquí coquí (pronounced ko-key, ko-key)! 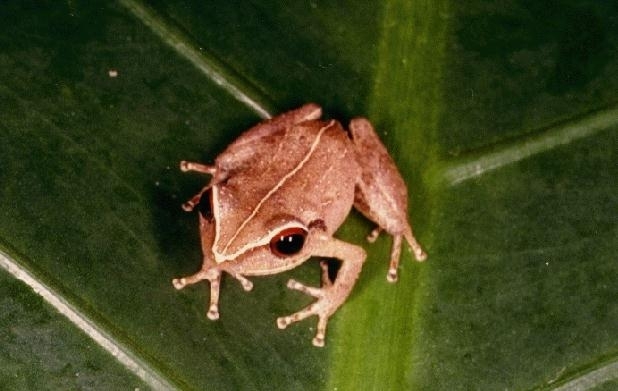 Juracán did not know where the sound was coming from, but he searched and searched, and finally found a tiny coquí frog – the size of a finger nail, singing away!! Juracán laughed and sang along with the coquí, no longer feeling lonely. Soon, all the other animals of the skies, land, and waters, joined in song with the tiny Coquí! 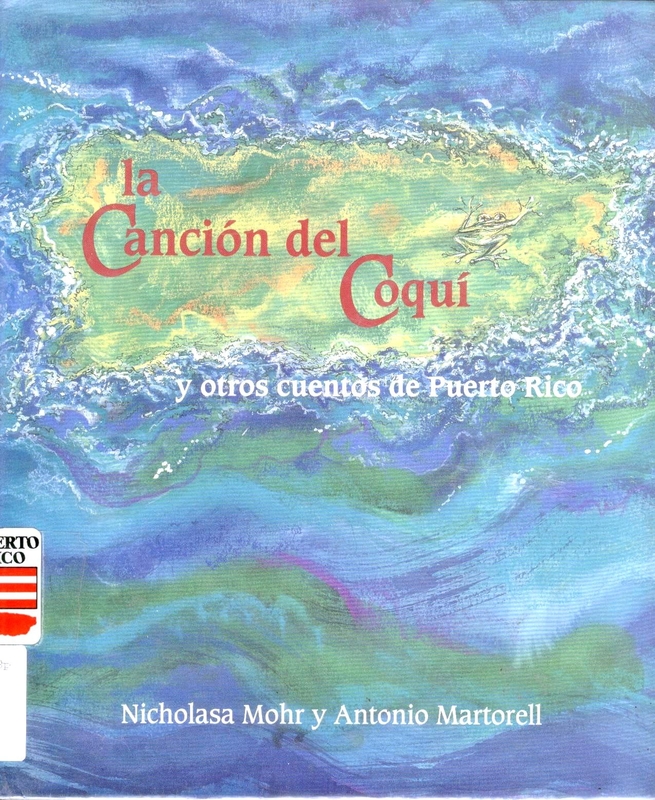 This story is from the book, La Cancion del Coquí y otros cuentos de Puerto Rico (the English version is called: The Song of El Coquí and Other Tales of Puerto Rico), which was written and illustrated by: Nicholasa Mohr & Antonio Martorell, and which we got from the Humboldt Park branch of the Chicago Public Library. I was really happy to read this story, because I have loved the song of the Coquí frog since the first time I heard it! It reminds me of a light rain on a beautiful, hot day. One more reason that I love my dear friend, Abo. What nature sounds do you like and why?